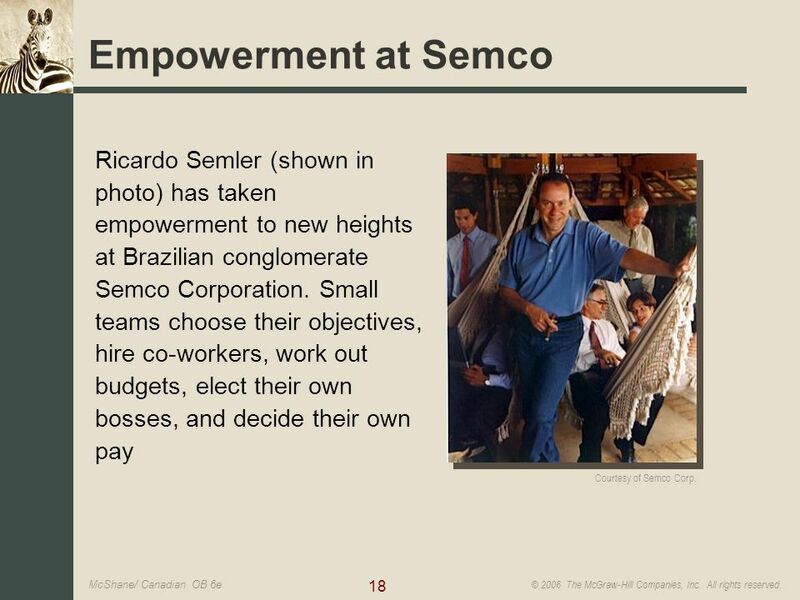 The story of Semco and Ricardo Semler may not be able to teach us about quick, programmatic things we can do to establish an industrial democracy and usher in decades of prosperity and labor peace. But it can tell us a lot about how change happens, how to adapt to changing environments and what a truly living company looks like. There have been two kinds of change at Semco. The major organizational changes took twenty years to become reality and not one was the result of any sort of master plan. Instead, the big changes were driven by crisis such as financial hard times or Semler’s stress-related illness. With very few exceptions most of the dramatic ideas came from someone other than Ricardo Semler. His genius has been in holding to a general concept of empowerment and allowing and supporting changes that could easily have been viewed as taking away his power. There are two models for the kind of changes we have seen at Semco. One is the biological model of punctuated equilibrium. Things go along fairly smoothly with minor changes, then there is a sudden burst of change and things settle down again. The other model comes from chaos theory. In chaos theory major change happens when an organism faces a threat that moves it away from equilibrium and stability, and out toward the edge of chaos. The major changes at Semco over the last two decades have created a company that is a confederation of small, freestanding units. That “structure” is part of why Semco can adapt so quickly today to deal with threats or to seize opportunities. Semco’s units are limited to 150-200 people. That’s something of a magic number in sociological, management and anthropological studies. It’s the largest group that a human being can feel a part of and that can create a social context that affects behavior. British anthropologist Robin Dunbar puts it this way, “The figure of 150 seems to represent the maximum number of individuals with whom we can have a genuinely social relationship, the kind of relationship that goes with knowing who they are and how they relate to us.” That number appears again and again in studies of communities, of effective plant sizes and effective military units. Having a small group makes it easy to spot a threat or opportunity, figure out what to do, and swing into action. Above this size you need formal processes to get this done, below this size it becomes a natural function. It’s those processes that slow down big businesses and make smaller businesses nimble. Semco is really less a single large company with more than a thousand employees than it is a bunch of smaller companies who can see, process and react quickly to changes in the environment. And who all operate with the same values, philosophy and culture. Semco is clearly one of the most interesting companies on the planet. It’s interesting more for the way it evolved to its current structure than because of the structure itself. And it may just be a model of how other successful companies may look in the future.